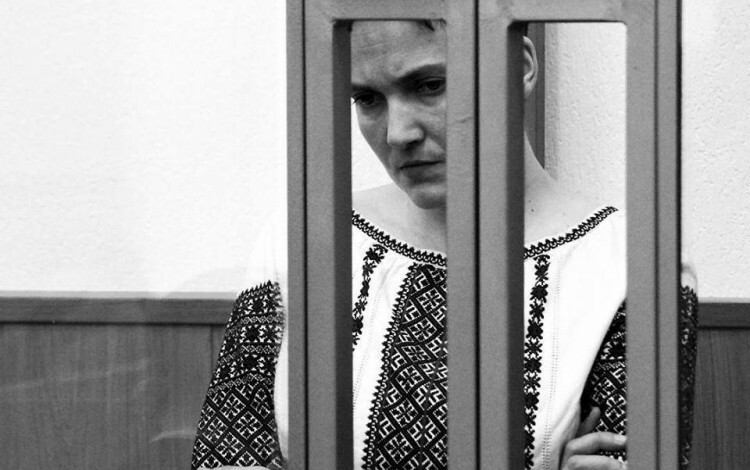 Imprisoned Ukrainian air force pilot Nadia Savchenko was denied the right to make her closing statement on 3 March, when the Russian judge in her prosecution postponed the closing session abruptly. Savchenko’s defense team later published the prepared statement on her Facebook page. It covers many of the key complaints surrounding the case against Savchenko, which critics say has highlighted the lack of an independent judiciary in Putin’s Russia. “I recognize neither my guilt, nor the verdict, nor the Russian court itself. If there is a guilty verdict, there will be no appeal. I want the whole democratic, civilized world to realize that Russia is a Third World country, with a totalitarian regime and a petty dictator, where human rights and international law are spat upon. It is absurd when those who abduct people subject them to torture then act as if they have the right to judge them! How can anyone talk about a fair trial? In Russia, there are no trials or investigations - merely farces played out by Kremlin puppets. I find it superfluous to waste my time participating in it! There will be no appeal. Instead, this is what will happen: After the verdict I will continue my hunger strike for 10 more days, until the verdict comes into force -- and this is regardless of the translation into Ukrainian, because they can drag that out for a long time, too. In 10 days, I will begin a dry hunger strike and then Russia will have no more than 10 days to return me to Ukraine, where they abducted me. I don’t care how they justify it! I have heard that Ukrainian President Poroshenko is quite adept at diplomacy. I hope his diplomatic skills will suffice to reach agreement in Russia with a certain idiot. After all, he promised my mother that I would be home in time for the May holidays of 2015. While they are bargaining over me, my life will be draining away and Russia. They will return me to Ukraine, one way or another - dead or alive! Throughout these 10 days, day and night, my sister will be standing at the jail gates. She will wait and see whether they release me or not. If you put her in jail, my mother will come and take her place. She is 77, will you put her in jail, too? In that case, my friend will take her place, and after her -- Ukrainian after Ukrainian! Remember, you cannot possibly shove everybody in here. And while my compatriots are standing there, simple, honest, and decent Russians living in nearby homes will bring them hot tea, sandwiches, and warm blankets, because each one of them understands that tomorrow their child could be in my place, in this prison of nations called Russia! That is how revolutions start. Do you need that? You fear it like the plague! It would be better for the Kremlin to return me to Ukraine, alive and as soon as possible. People around the world who hold democratic values dear ought to learn their history lessons before it is too late. They need to recall that there was a time when Europe was tolerant toward Hitler and America was not decisive enough. This led to World War II. Putin is a tyrant with imperial manners. He combines both Napoleon and Hitler complexes. The Russian bear does not understand humane language. He understands only the language of force. Therefore, unless we become more decisive, we will soon have World War III.